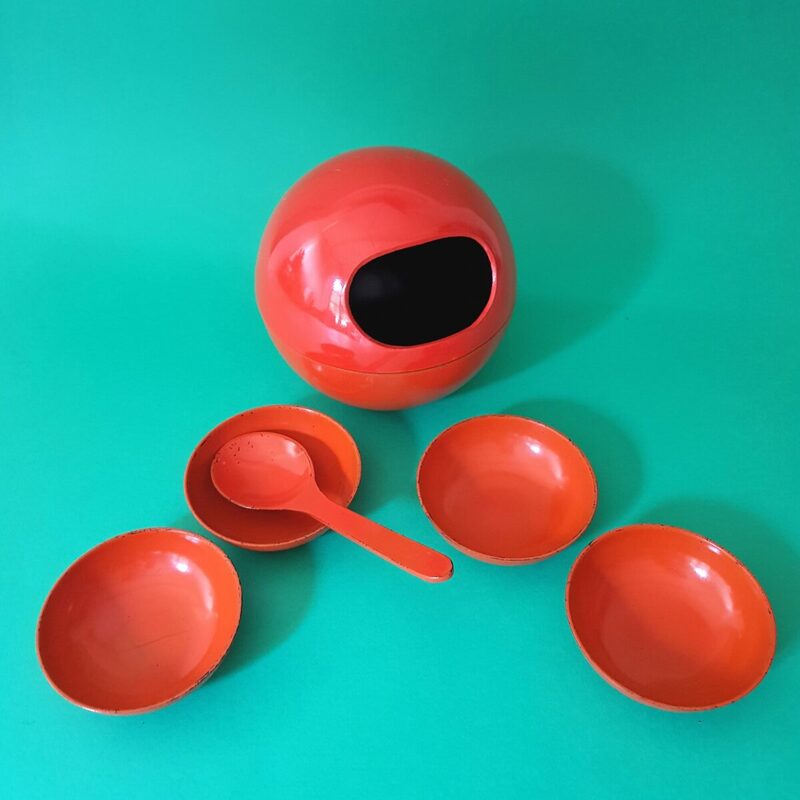 Vintage Orange space Age Snackball which contains 4 orange bowls and a ladle for peanuts/snacks. The sphere consists of 2 parts that are twisted together. 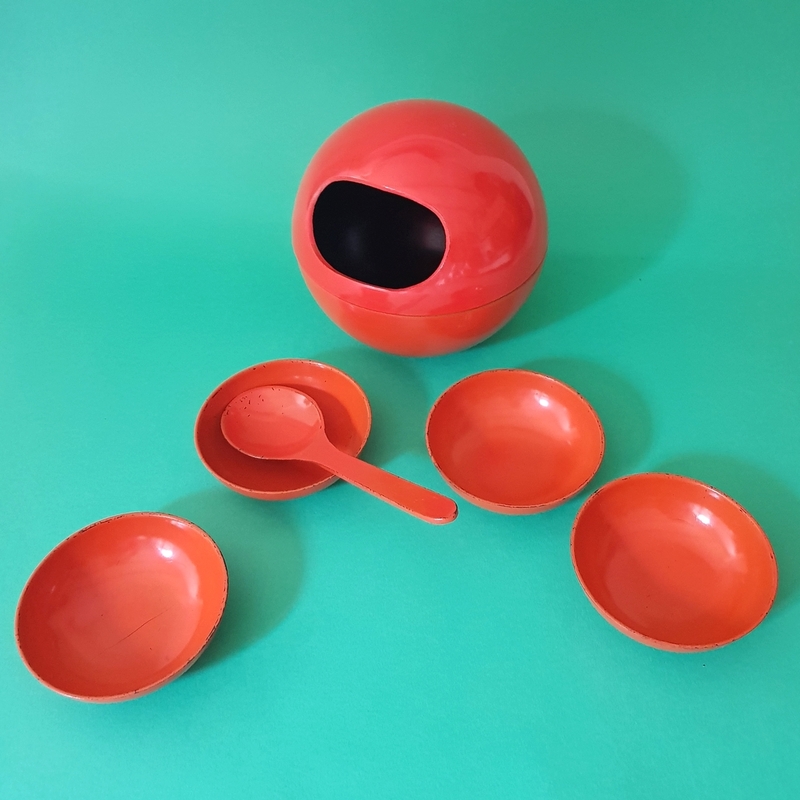 The inside of the hard plastic sphere is lacquered black. These sets were extremely popular in the Netherlands during the 1960’s and 1970’s and few of the plastic ones survived. 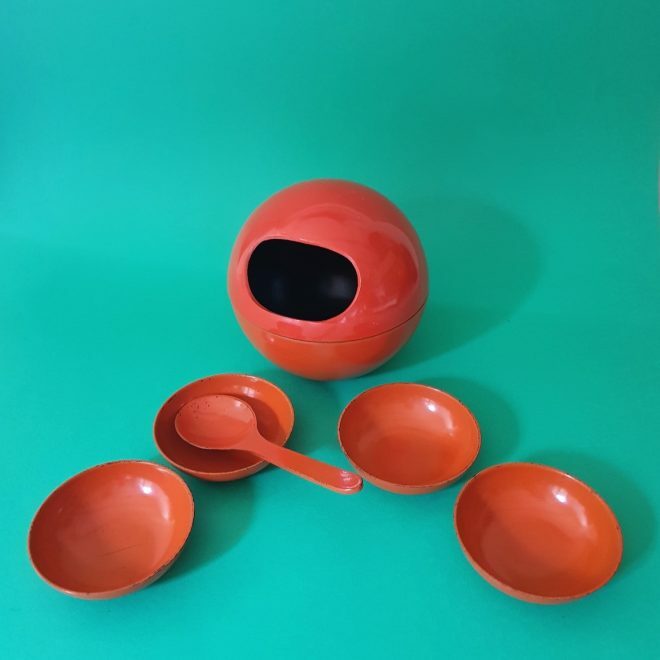 This set is in used vintage condition with some chipping to the paint and scratches.One of the little bowls has a hairline crack, but is still useable. Price reflects the condition. Condition:Please see above and refer to photos for up close detail.